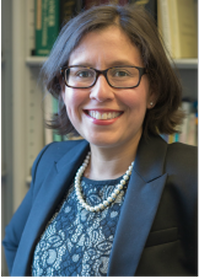 Dr. Ramirez is a social scientist whose research at the intersection of communication science, public health, and Latino health focuses on communication in the service of social justice and health equity. Currently Dr. Ramírez is Assistant Professor of Public Health Communication at the University of California in Merced. Previously she was a Cancer Prevention Fellow in the National Cancer Institute’s Division of Cancer Control and Population Sciences. Dr. Ramírez earned a PhD in Communication from the Annenberg School for Communication at the University of Pennsylvania, a Master of Public Health from Harvard University, and a Bachelor of Arts in Communication from Santa Clara University. She was awarded the 2017 Early Career Achievement Award on behalf of the Health Communication Working Group in the Public Health Education and Health Promotion Section of the American Public Health Association. Dr. Ramírez has 20 years of experience designing, implementing, and evaluating strategic, culturally-appropriate communications in multinational organizations. Dr. Chittamuru is a behavioral scientist and mixed methods researcher whose research is at the intersection of information and communication technologies for development (ICT4D) and public health with an emphasis on social justice and health equity. Her current research examines how technology might be leveraged to improve health outcomes for marginalized and underserved populations both globally and locally. Previously, she was a Postdoctoral Research Fellow with the Program for Sexuality, Technology, and Action Research (PSTAR) in the Department of Family and Community Health, School of Nursing, University of Pennsylvania. Dr. Chittamuru earned a PhD in Communication from the Annenberg School for Communication, University of Pennsylvania, a Masters in Information Management and Systems from the School of Information, University of California Berkeley and a Bachelors in Computer Science and Systems Engineering from Andhra University. She has extensive experience in designing, deploying and evaluating technology-based interventions in a wide variety of contexts such as public health, public education and agriculture. Dr. Ramondt earned a PhD in Health Psychology at UC Merced in 2018. His dissertation research aimed to characterize news coverage of air pollution and health and its effects on health beliefs including fatalism, protective health behaviors, and support for environmental issues. Steven is particularly interested in reducing the adverse health effects of air pollution in the San Joaquin Valley. Steven earned a Bachelor of Science in Communication from the University of Amsterdam in The Netherlands. His published research has examined media exposure and fatalism and perspectives of environmental health risks. Kimberly Arellano Carmona, M.P.H., C.H.E.S. Kimberly is a doctoral student in Public Health at UC Merced. Prior to joining UC Merced, she worked as a Clinical Research Assistant at Children’s Hospital Los Angeles. She holds a Bachelor of Science in Public Health and a Master of Public Health with a concentration in Community Health Education from California State University, Northridge. Kimberly’s research interests reflect the shifting demographics of the United States and focus on Latino health. She is particularly interested in how access to health care and health information contribute to Latino cancer health disparities. Katie is a doctoral candidate in Sociology at UC Merced. Her research interests include food access; statistical methods; health; and race, class, and gender. She holds a B.A. in Political Science and a M.A. in Sociology, both from UC Merced. Current research focuses on the accessibility of community gardens among different demographic groups and the potential for community gardens and other local food programs to alleviate food insecurity and food desert conditions. She was a 2017-18 UC Global Food Initiative Fellow. Jovo is a Public Health major. His research interests include health policy, health disparities, and health care access. He has previously conducted research on the how global brigades impact the Honduran healthcare system. He was awarded a fellowship from the Andrew W. Mellon Foundation to develop his own research study to analyze the barriers the senior population in Merced County face when accessing health and social services. In addition, he has been working with the director of Area Agency on Aging to highlight the importance of community engaged research and the needs of Merced County seniors. He is passionate about serving and improving the health of underserved and marginalized communities. ​Maria is a Public Health major. She was funded through the Andrew W. Mellon Foundation to conduct research on health care access among Mexican immigrants in the San Joaquin Valley. In addition to her contributions to the CCH team, she currently interns at Livingston Community Health Center. She is passionate about addressing the social determinants of health that impact the adverse health outcomes of vulnerable populations. After graduating in the Spring of 2019, she plans to work on projects relating to health policy and health education before pursuing a master's degree in Public Health. ​Karen is Sociology major. Her research interests include immigration and education. As a summer research fellow through the UROC program, Karen conducted a case study on 2006 immigrant rights protests in Bakersfield, California. Valezka is a fourth year sociology major. During her undergraduate career she has focused on conducting research on immigrant rights mobilization in the Central Valley. Valezka also works with a student research team to conduct research on peer to peer instruction through the Center for Engaged Teaching and Learning. She is currently an intern for the Students Assessing Teaching and Learning (SATAL) program, and was a lead on a prior project that went on to win the Educational Innovation award at the Professional Organizational Development (POD) conference 2018. She plans to focus her research primarily on the impact of Central American forced migration on second generation Central Americans. Dana is a Public Health major. Her interest includes health care access and health communication. She is interested in exploring how media influences people’s perception and decisions regarding health care options. Her previous work includes interning for the Merced County Department of Public Health in the Emergency Medical Services division. She intends to pursue a master’s degree in Public Health emphasizing on Women’s Reproductive Health. Breanna is a Public Health major. She is driven by a few passions: helping minorities, health policy, and equality. Breanna has been a campus leader, particularly with Hands for Help, a service club dedicated to helping Merced’s homeless population by providing hygiene products and participating in community events such as the homeless count and food drives. As an intern at the Madera County Department of Public Health, Breanna created a customer service survey, allowing the department to receive feedback from customers.